1.Place the wicker basket stand in any shop or grocery store to create a rustic and elegant product display. 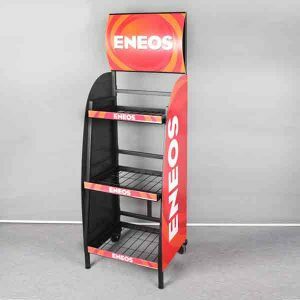 Because this rack features a sign holder on the top, sales, prices and product names can be attractively advertised. 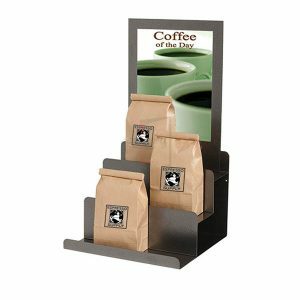 2.Each basket display is great for holding fruits, breads, bakery goods, soaps, and many other kinds of merchandise. 3.Frameless clear acrylic construction will not distract from the items displayed inside. 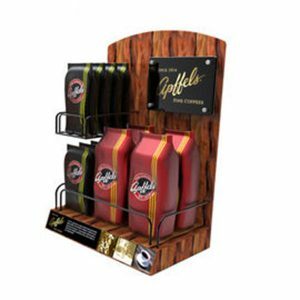 5.Our retail gondola shelving units are factory new and do an excellent job merchandising cans of pet food, chew toys, clothing, and bedding.